Microsoft has a long history of backward compatibility in the Windows operating system, although not always good. Most of the software works in Windows 10, as is the case in Windows 8. However, while the support for the games are not too old, the compatibility with the old games is over time. - In all new versions, dos games no longer work, although some programs still work, they only offer many problems because they are designed for dos. Many users are already in the admin group because the applications in the Windows XP operating system work with administrator authority. You can try the Run as administrator option to open these applications on the Windows 10 operating system. Right click on the application and you will see the compatibility mode in the features section. 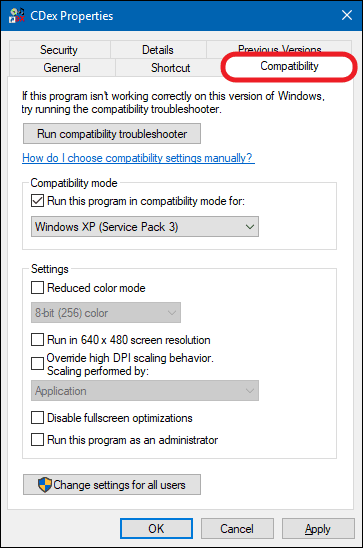 In this section, we open the tab that activates the compatibility mode and say what the old operating system will be in compliance with and make settings such as resolution.